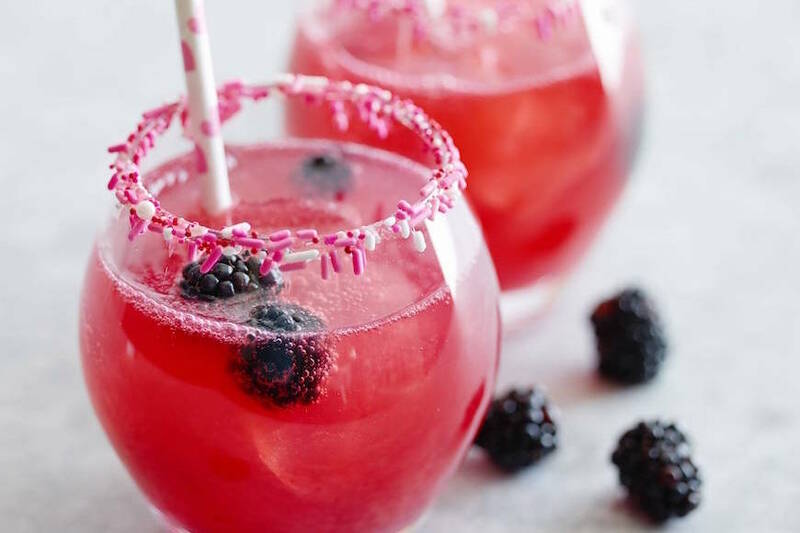 Just in time for tomorrow’s celebrations – let me introduce you to this Blackberry Grapefruit Margaritas! 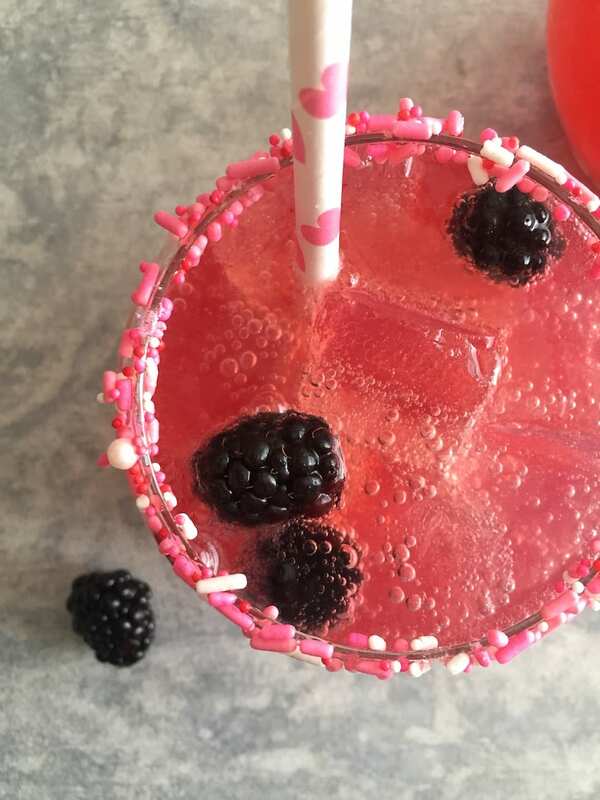 When your friend Lauryn (you guys know her over from The Skinny Confidential) tells you to make a margarita with a candy/sprinkled rim, you just go with it! She was the genius behind those super cute halloween pretzels we did a few months back – and she’s the mastermind behind my latest and most favorite cocktail! She’s also one of the most refreshingly honest people I know and I LOVE HER!! 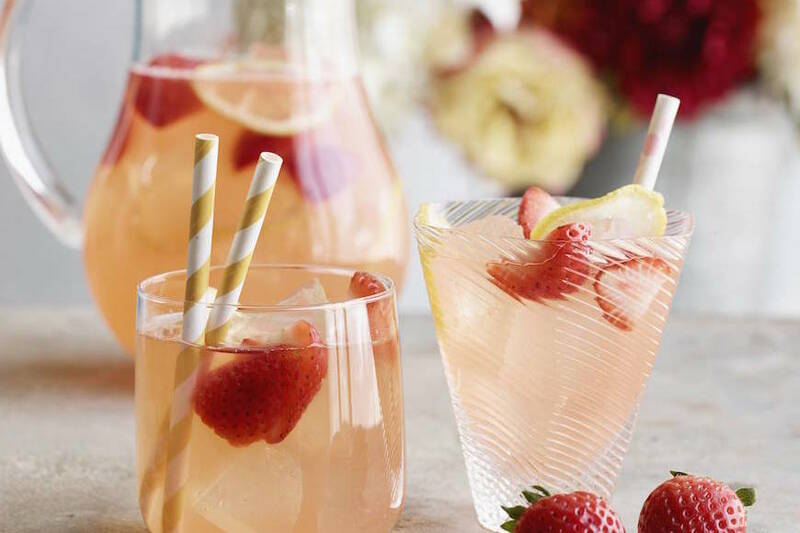 Make sure to check out her site while you whip up this cocktail – she’s hysterical! 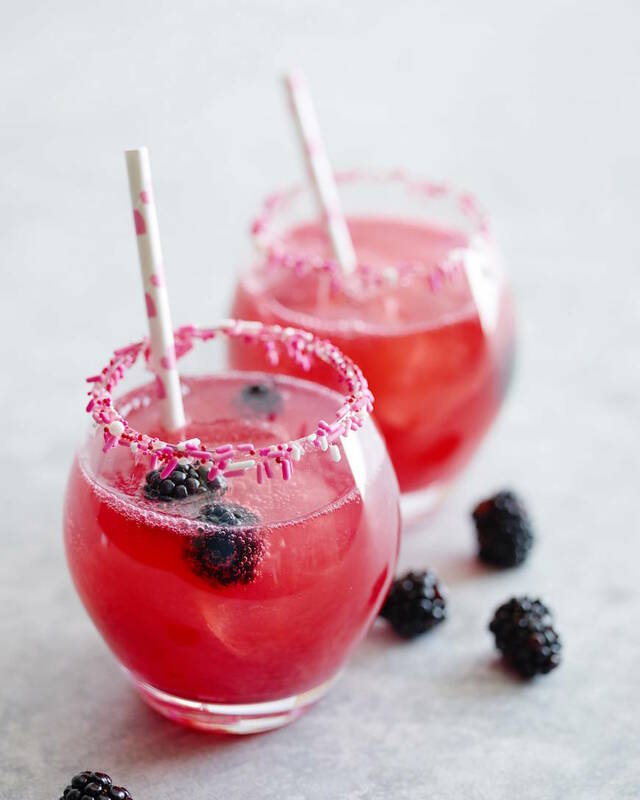 But back to the marg – it’s the perfect mix of blanco tequila, freshly squeezed grapefruit juice a bit of lime juice, agave nectar, a splash of sparkling water and a few muddled blackberries! And it’s exactly what you should make tomorrow for your sweetie for Valentine’s Day dinner! 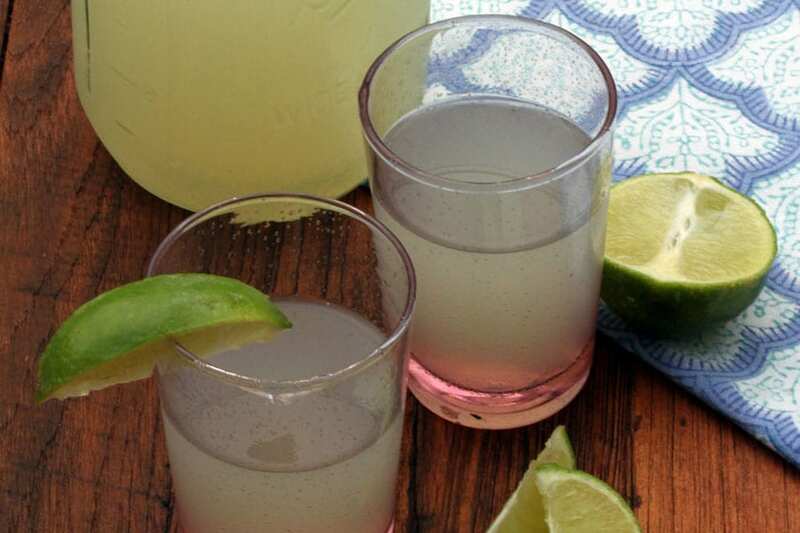 The fastest way to my husbands heart is through Mexican food – so I’ll be making these margaritas, a batch of my most favorite carnitas tacos and a VAT of guacamole! It’s approximately 6:13am and I want one STAT! these are pretty much the cutest margaritas ever! How cute are sprinkles on the rim?! 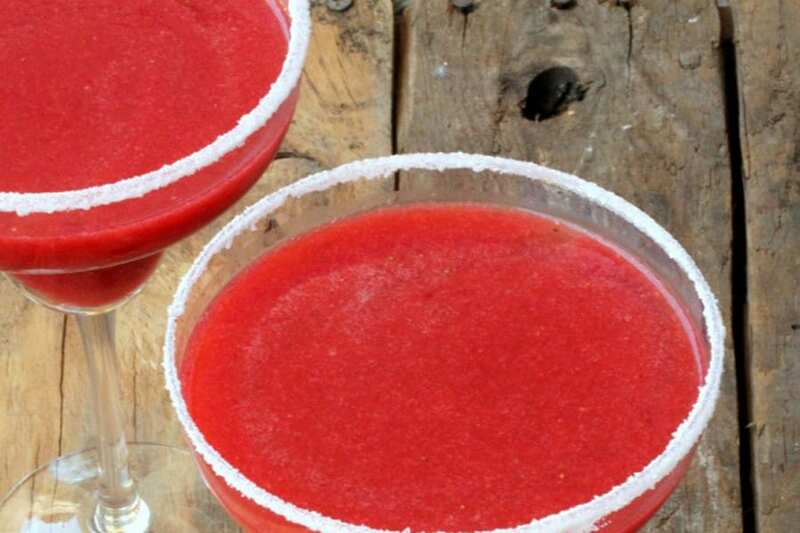 This margarita sounds delish!